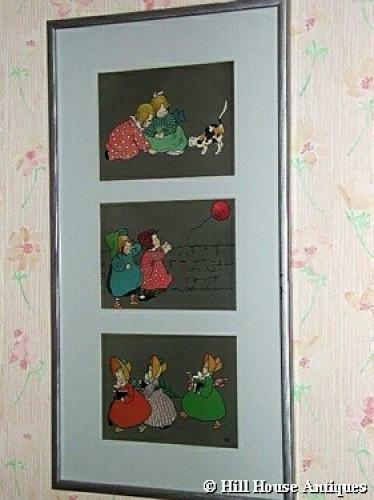 Charming early 20thC nursery triptych print of little children playing; possibly of German origin. There is the artists monogram to lower right of bottom picture, possibly ECV?. Recently reframed/mounted. Approx 24" high and 13" wide inc frame.